SKU: BRAC-TRIS-H. Categories: Bracelets, Cuffs & Arm Rings, Heavy Braided Bracelets. 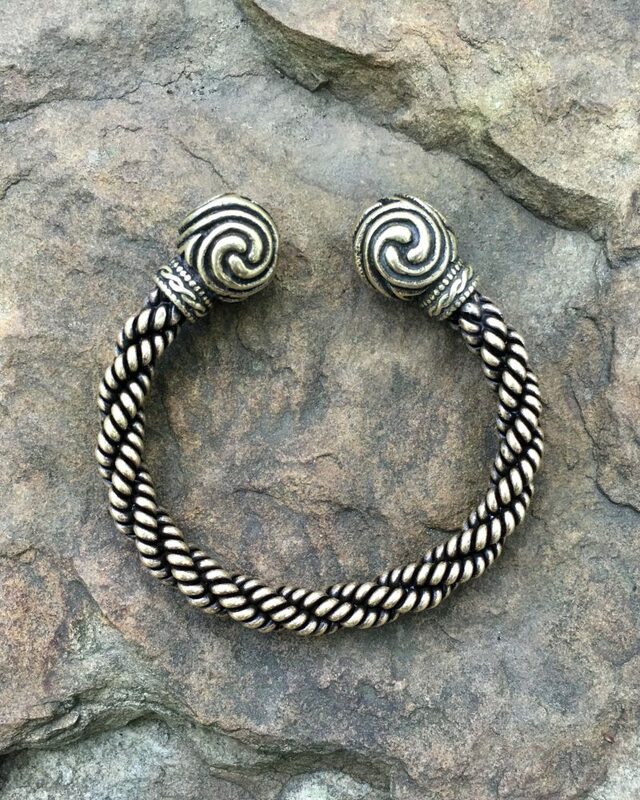 Our Heavy Triskele Bracelet is not for the feint of heart! It is constructed with a heavy and very substantial braid of wire, and is approximately 3/8 inch (10 mm) thick. It is available in bronze and sterling silver. We also offer a Medium Triskele Bracelet.